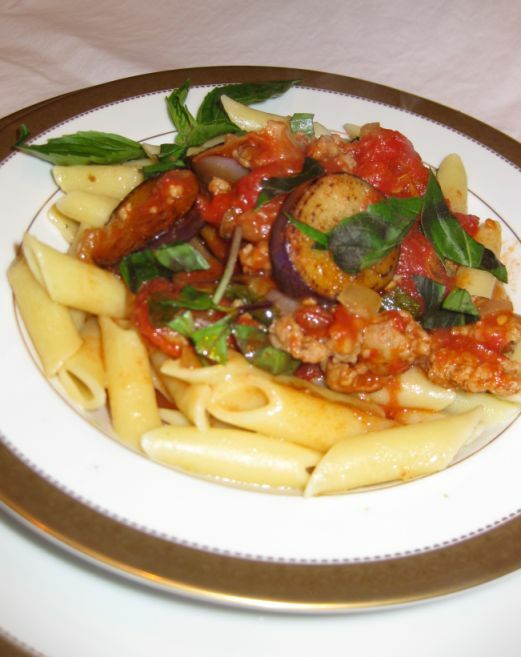 This recipe is a variation on the classic Sicilian eggplant pasta. 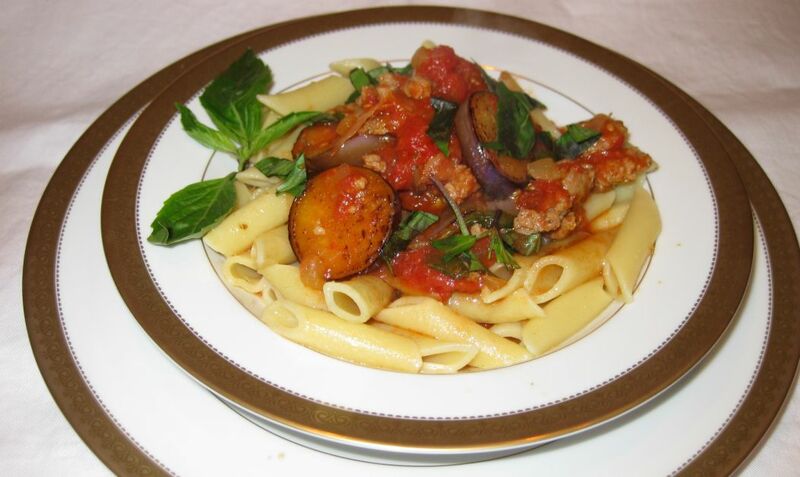 The star in this dish is the eggplant! 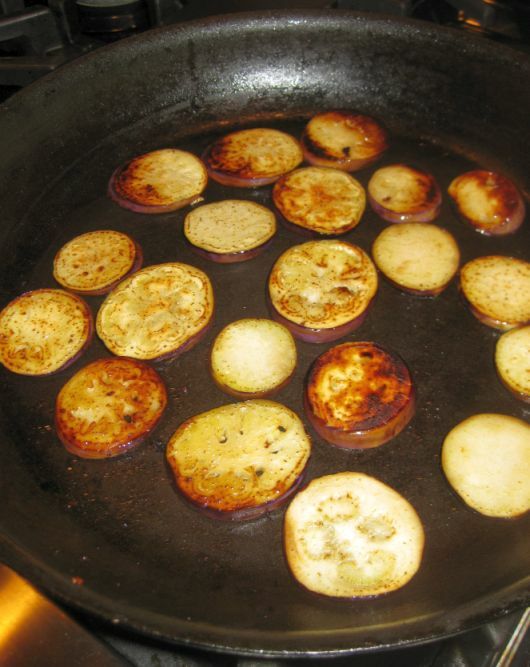 It takes a bit of time to pan cook the eggplants but it worth all the effort. 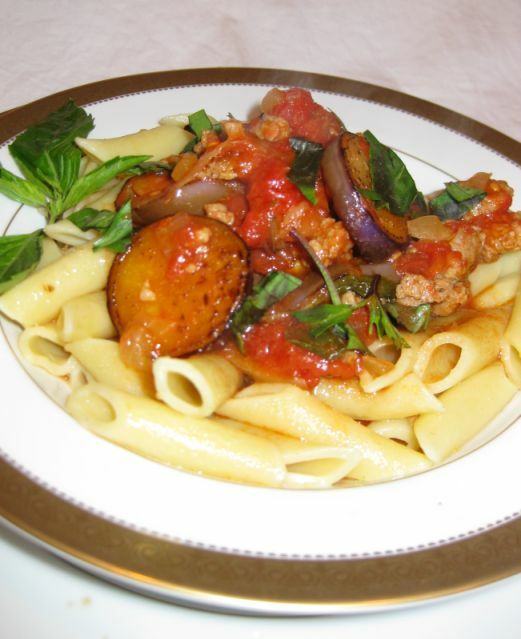 I used Asian eggplants because they are easier to find and they are the perfect size for this dish. I wanted a light dish so I did not use any cheese at all. 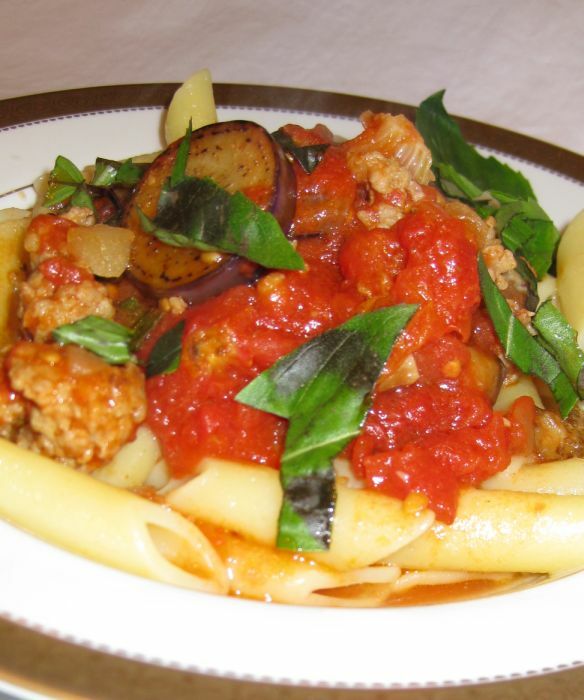 The Italian sausage gave the sauce a lot of flavor and the eggplants are so tasty. This is really nice dish to serve when you have a big crowd to feed. 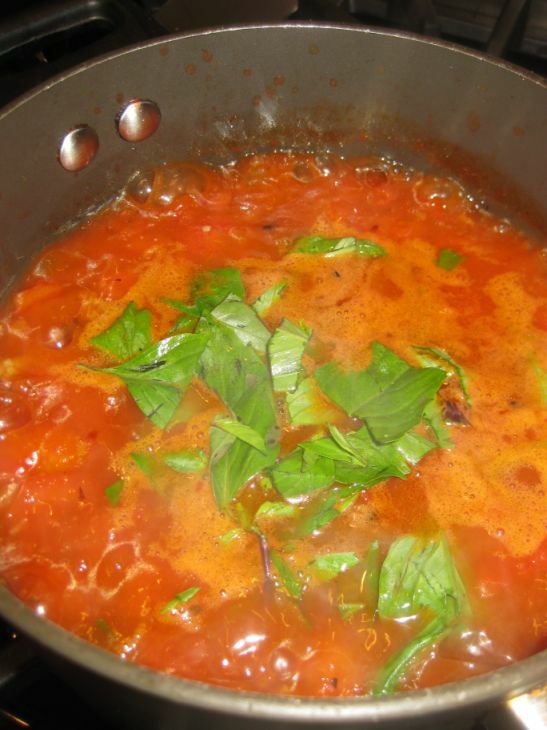 This dish is also tastier the next day which is perfect when you have some leftovers. 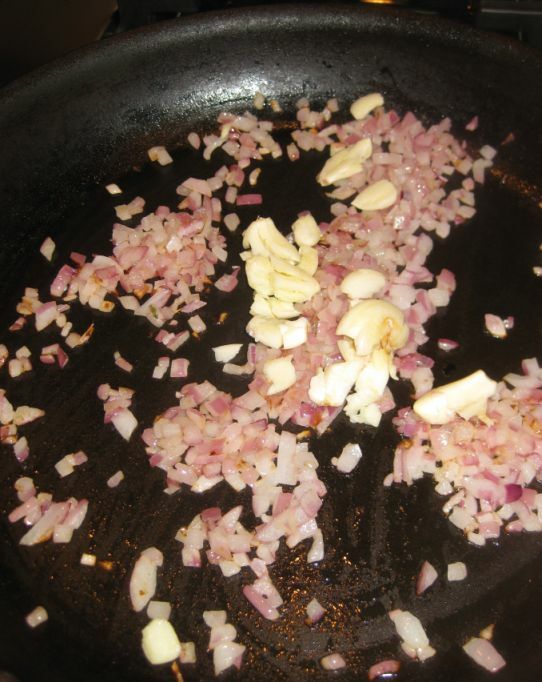 Sauté the onion until soft and add the garlic. continue to sauté for another minute or so. 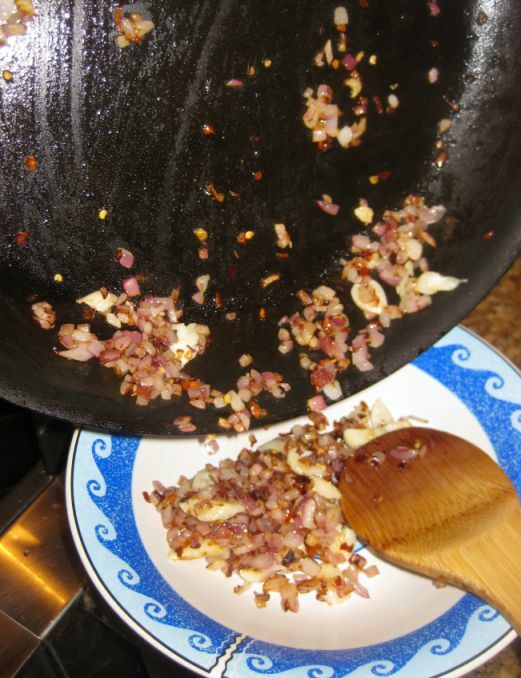 Add a generous spoon of pepper flakes. 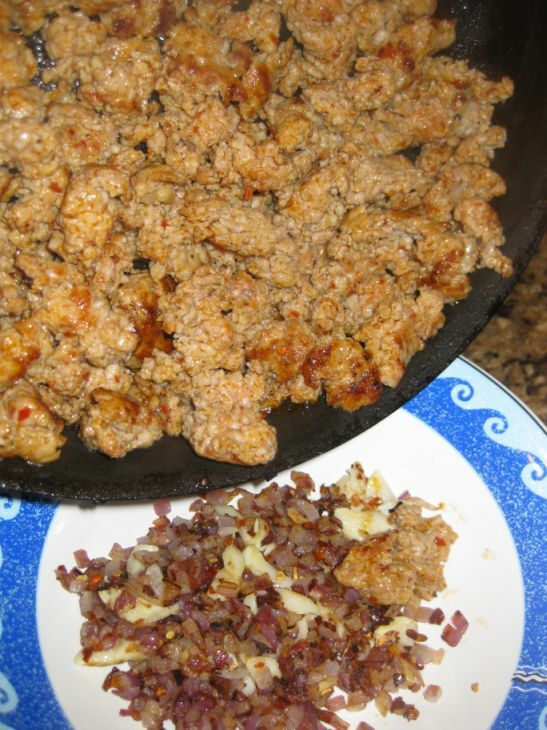 If you want your dish to be spicy then add more if you don't want it to be spicy skip the pepper flakes. 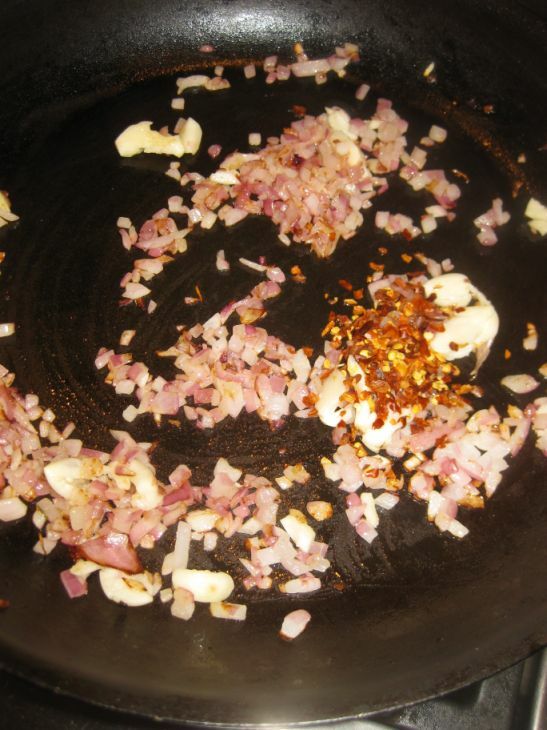 Pour the garlic, onion, pepper flakes combination in a bowl and set aside. 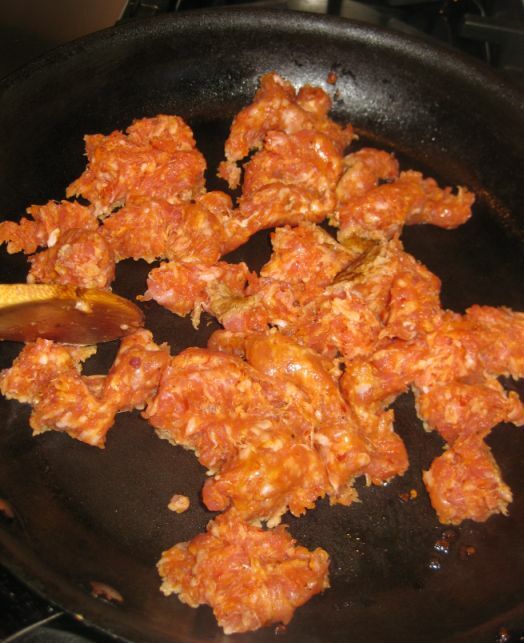 In the same skillet, add the Italian sausage. Sauté until the meat is cooked. 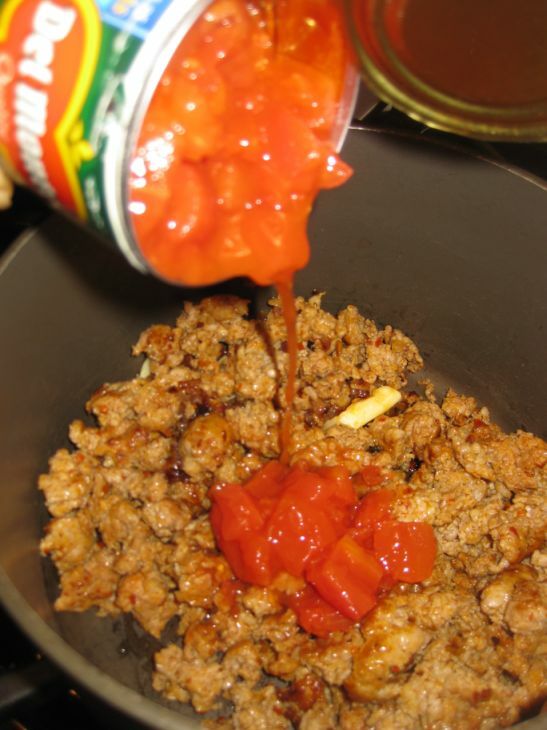 Pour the meat on top of the onion, garlic, pepper flakes combination and set aside. 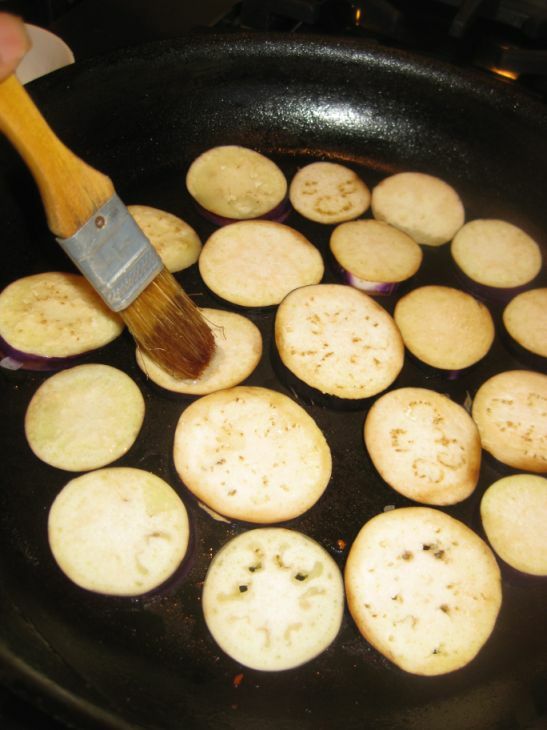 In an oiled pan, add the eggplant. 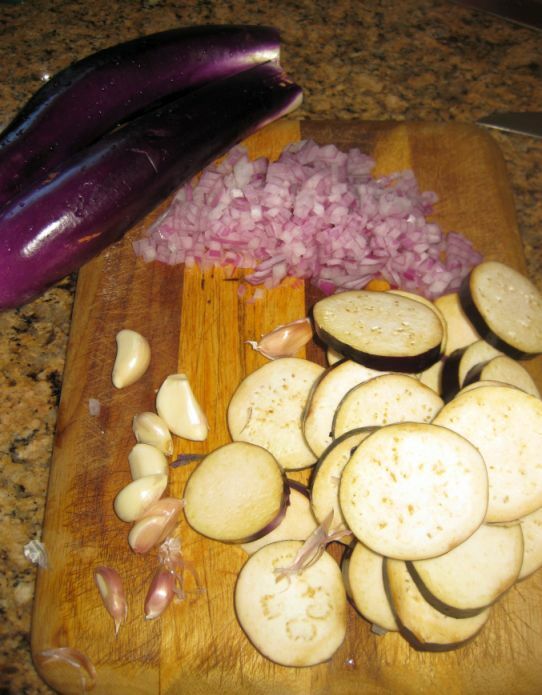 Eggplant tend to absorb lots of oil so brush some more oil on top of each eggplant. Once the eggplants are browned put them aside. 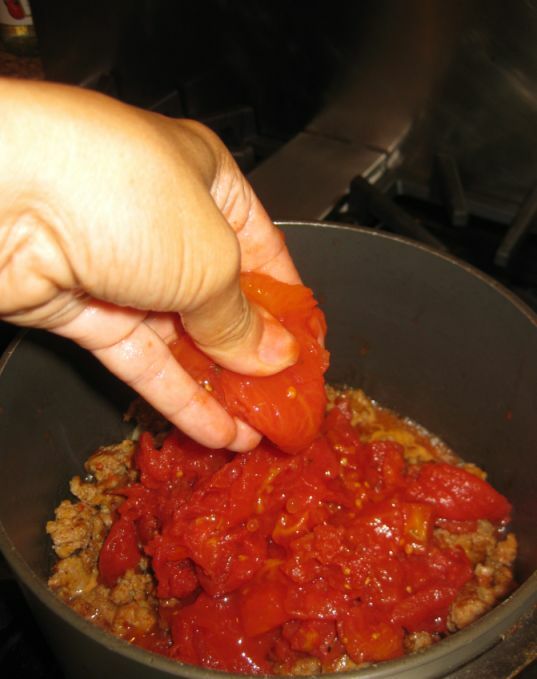 Add the large can of whole tomatoes and hand crush them. 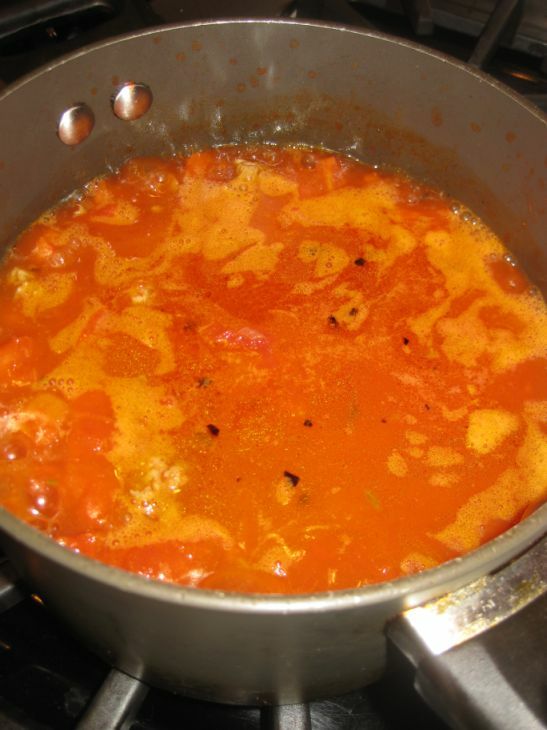 Bring the pot to a boil and lower the heat to medium low and let the sauce simmer for about 15 to 20 minutes so that all the flavors are coming together. 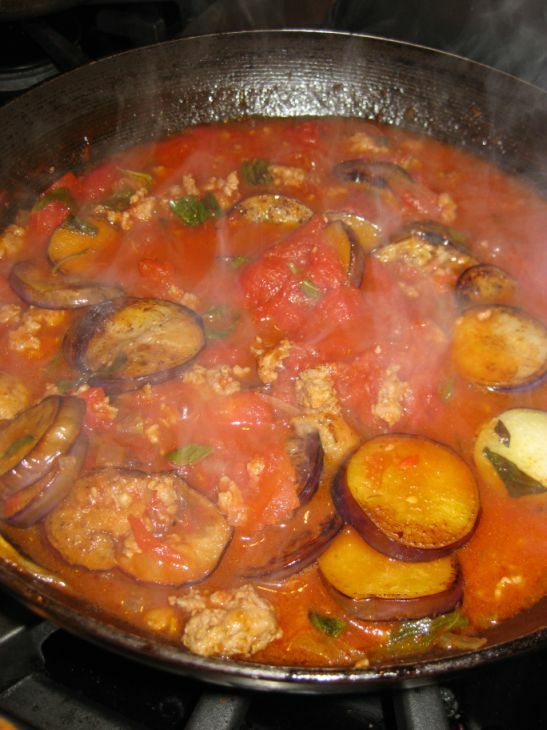 Add the eggplant and continue to simmer for another 5 to 10 minutes. 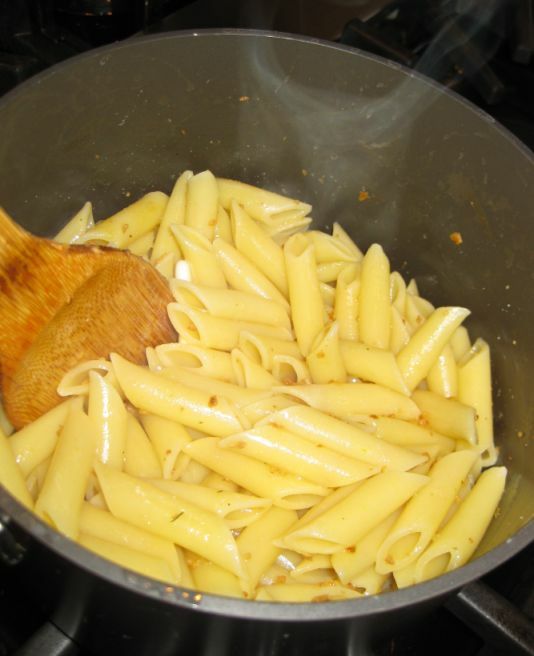 Cook the penne accordingly and it is ready to be served. I usually add a bit of butter, oil and a couple spoons of fried garlic to my pasta.